For the vast majority of homeowners, maintaining a beautiful home is a source of immense pride. Figuring out exactly what steps to take to keep your house looking great without spending all of your free time and extra money on maintenance, though, can be a bit of a challenge. 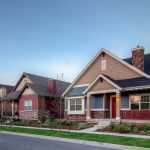 As you read this guide, you will find some useful information about the essential things you need to do to make sure your home’s exterior looks great all year long. Make sure shrubs and trees are trimmed. Overgrown shrubs and trees can instantly make an otherwise well-kept home look shabby and poorly maintained. If you’re going to have foliage on your property, make a point of maintaining it properly by having it regularly trimmed and sculpted. 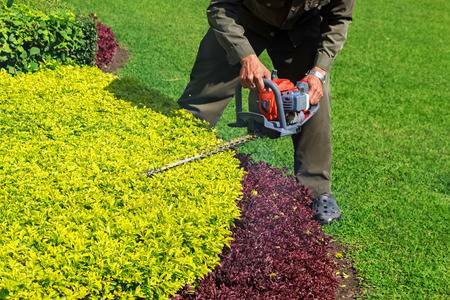 Generally, homeowners who don’t have much experience with landscaping hire professionals to prune their plants. This is a good choice as it ensures the job is done correctly and no plants are actually damaged. Keep your eyes peeled for water damage. Over time, a variety of exterior materials, including wood, asphalt shingles, paint, and caulking, can be affected by water damage. While you can’t do anything about precipitation, you can make sure any sprinklers you have in your lawn aren’t inadvertently aimed directly at your house. Furthermore, correct any water damage as soon as you notice it. Repainting, recaulking, and even replacing rotten wood are all relatively simple tasks that will go a long way toward making the exterior of your home look great. It’s also important to have a professional make sure the damage hasn’t impacted your home structurally in any way. Have your siding cleaned annually. Siding is designed to withstand the elements, but it still takes a beating over the course of a year, especially in parts of the Carolinas that frequently experience bad weather. To keep your home looking its best, it is a good idea to have your siding pressure-washed by a professional once per year. This will remove any dirt and debris that have accumulated, leaving it looking brand new! You can also spot wash your siding with a cloth and the cleaning solution of your choice if you feel it needs it between major cleanings. Replace or repair cracked paths and steps. Walkways and exterior steps made of natural stone or concrete tend to crack over time. This may take many years, but if your house is older, you may be dealing with this issue. Having broken stone all over your yard is an eyesore, so the best option is to have the walkways or steps in question replaced. This project typically isn’t as expensive as homeowners are expecting it to be and it does wonders for curb appeal. The team at Hatch Homes would love to help you spruce-up the outside of your house, no matter what tasks need to be done. Give our office a call to discuss what you have in mind and to schedule an appointment with one of our skilled experts. 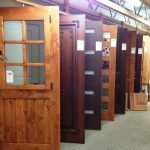 We look forward to helping you create the home you’ve always wanted.